Ambassador Andrea Orizio of Italy took up his post as Head of the OSCE Mission to Serbia on 1 October 2016. 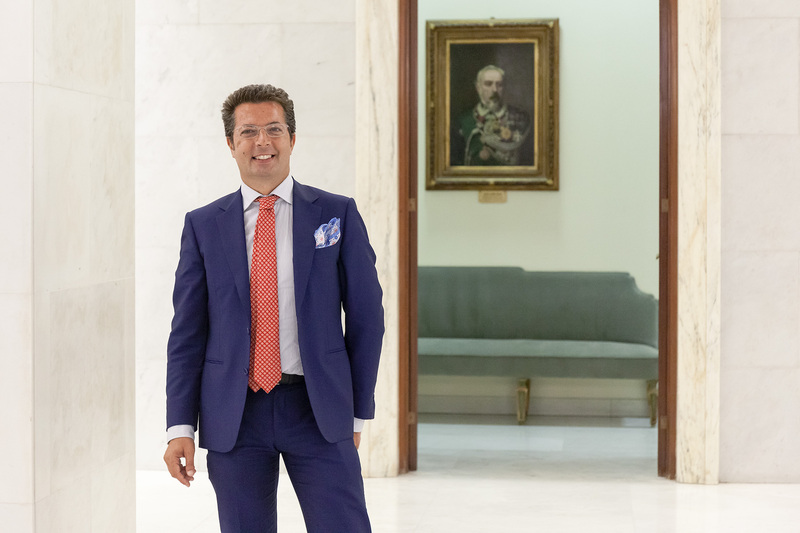 Ambassador Andrea Orizio, an Italian career diplomat, has been heading the Mission since 1 October 2016. He came to Belgrade from Rome where he served as Balkans Director at the Ministry of Foreign Affairs and International Co-operation. Between 2013 and 2014, he was Head of the Counter-Terrorism and Organized Crime/G7 Unit at the Italian Ministry of Foreign Affairs. From 2008 to 2012, he was Deputy Head of Mission the Italian Embassy to Egypt. Between 2005 and 2008, he served as First Counsellor at the Italian Permanent Delegation to NATO in Brussels. Prior to that, he led the Western Balkans Department at the Italian Ministry of Foreign Affairs. Earlier in his career, he held diplomatic posts in Zagreb as Deputy Head of Mission and Prague, and served on the Africa Desk, the Defence Minister’s Diplomatic Counsellor office, the Armaments Authorization and Control Authority.